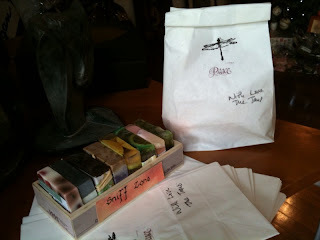 I have been giving my soap as Christmas presents for a while but this year I was super organised. 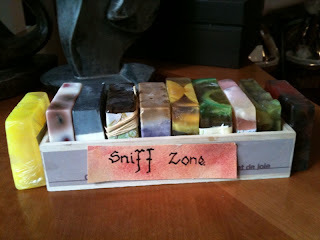 I set up a sniff zone, where I made an assortment of soaps and my guests can sniff and pick out their favourites, yes as many as they wanted. It was a hit, especially with my new guests. I put aside some white paper bags for their goodies, so everyone leaves with a goodie bag. 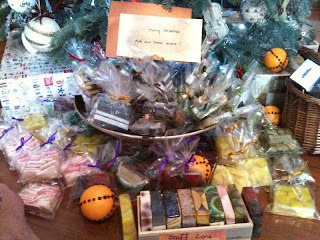 The only trouble was they had to rummage through the bowl to find their soap and some guests took the samples instead!